The patented innovations of Paul S. Ho and King-Ning Tu overcame the roadblocks caused by electromigration that limited high-performance chip reliability for the semiconductor and electronics industry. First addressing the issues with aluminum wiring, then copper, and eventually solder-bump connections, their work provided the foundation to understanding the science of the failure mechanisms and guided high-performance chip designs and manufacturing processes that enabled high-volume manufacturing of many silicon nodes with low cost and high reliability. Ho and Tu also provided insights and solutions regarding the failure mechanisms associated with low-k dielectric materials, tin whiskers, and electromigration in interconnects critical to the success of high-performance flip-chip technologies. 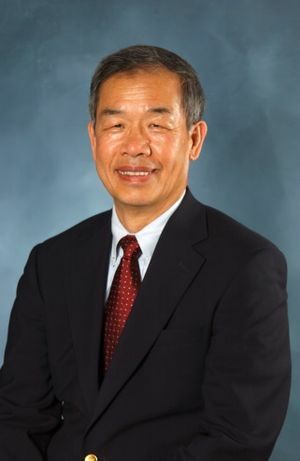 An IEEE Fellow, Ho is director of the Laboratory for Interconnect and Packaging at the University of Texas at Austin, Austin, TX, USA. This page was last edited on 1 May 2018, at 14:24.